I am now eighteen, just graduated and I now go to college. When I was 14 years old, my dad's secretary came up to me and told me she was sorry for breaking my family apart. I knew what she meant already, so it wasn't really news to me. I didn't tell anyone till I met a girl who moved to my town. She went through the same thing as I did. So when she told me what her mom did to her dad, I told her what had happened in my family. We became super close and two years after I met her, I got the guts to ask her out. Now, she seems to be the only thing that has any meaning in my life. I just don't care about anything. The only time I'm really happy is when I'm with her. Before my parents' split I was a genuinely happy kid. Anyone who knows me would say I'm still a happy guy, but they don't know how pissed off I am when I go home everyday. I know I'll never forgive my dad for what he did to my family, but I really want to get over it and stop it from ruining my life. How can I do that? Just forget it ever happened? Everyone always tells me how much I am like my dad and that scares me. I hate that people see him in me. What he did still affects my family. I'm from a small town where gossip is big. People know what he did and that I am the spitting image of him. My little sister is 15 years old now and she still comes to me crying about something my dad said to her. I try to help her the best I can but I am no counselor. I just want to know how I can get over this and get on with my life. Hell, and thanks for telling your story here. It sounds like you have a little bit of a relationship addiction going with your girlfriend. It will never work to love someone more than you love yourself. Take a look at these quotes on relationships. 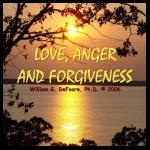 Also, this page on forgiveness might be of help. 1) Write down all of the ways in which you are like your dad. Look at that list and ask yourself if there's any of those qualities or behaviors you want to keep. In other words, choose what you like from the list, if there's anything there that you like. Focus all of your time and energy on creating a good life for yourself. You can do this. I also have a problem forgiving my dad. I actually never want to see him again. I have an issue of looking forward to his death. He is older, but divorced my mother after 42 years of marriage. He was also a pastor of a church when he had the affair. It seems morbid to look forward to my dad's death, I know, but that's how I feel. He is 71 years old and I have no idea of his health. It just seems that the only form of peace I can receive is when he dies of natural causes, then satisfaction will come. I forgive him, but I never want to see him again. Does anyone else have these disturbing thoughts?